The north-east school claimed victory in Netball Scotland’s S2 Bronze and S3 Bronze finals with wins over Jedburgh Grammar School and Largs Academy respectively. The S2 side won their title after a hard-fought 16-9 win over Jedburgh, with the S3s cruising to a 26-12 win over Largs. Despite having a senior school roll of around just 130 pupils, Lathallan overcame schools up to eight times their size, with more than 60 sides entering each tournament. The S2s beat Ayr’s Kyle Academy 18-15 in a hard-fought semi-final while the S3s booked their place in the final after their Glasgow-based semi-final opponents St Thomas Aquinas forfeited the match. 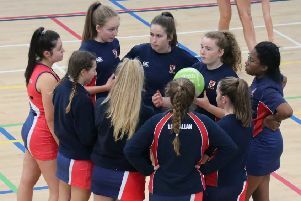 The teams’ success has resulted in the Lathallan Under-15 girls being invited to appear at the World Schools Netball Cup in Loughborough in England in June. 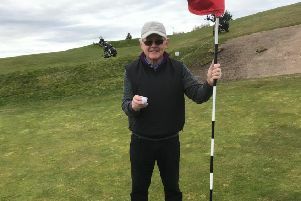 Lathallan lifted both the S2 Bronze and Senior Open Silver tournaments in 2018. Lathallan head of PE Fiona Howie said: “I’m incredibly proud of all of the girls for their efforts again this year. Given the size of our school this is a fantastic achievement. S2 pupil Amelie Smith said: “It’s incredible. We had one or two players on our team who had never played netball before joining Lathallan. S3 pupil Roly Awe added: “At the start of this year we only had eight girls in our entire year group who could play netball.